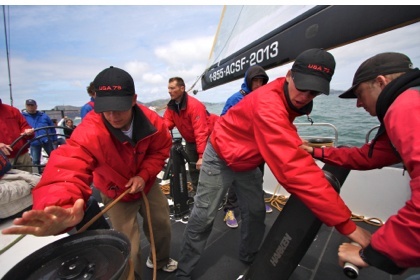 Be the skipper as you take your turn at the helm of a high speed America’s Cup yacht. Help with the ‘hoist’. Take your turn as a ‘grinder’ on the big sail trim controls affectionately known as coffee grinders. Or if you prefer, just sit back and enjoy the ride. 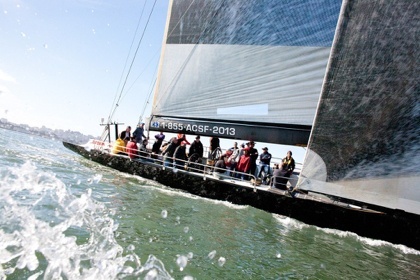 America’s Cup yacht excursions are available in San Francisco and San Diego, Calif. In San Francisco, enjoy a 2.5-hour hands-on sailing experience for two aboard the famous America’s Cup Challenger, USA76 all-carbon racing yacht for an exhilarating sail across the San Francisco waterfront and under the Golden Gate Bridge. Feel the history, thrill and excitement of the oldest trophy in international sports and experience it on the yacht that Oracle Team USA raced to challenge for the 31st America’s Cup in 2003! Sailings are most Fridays, Saturdays, and Sundays, valid Memorial Day through October, subject to change. In San Diego, a sail on an America’s Cup yacht is a once-in-a-lifetime treat. With masts as high as an 11-story building, these precision-tuned racing yachts are the fastest mono-hull sailing vessels in the world. 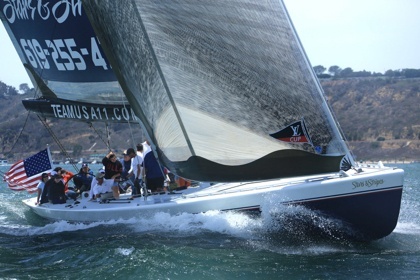 You can pitch in and be a part of the sailing crew - manning the wheel or grinding the winches - or just relax and take in this magnificent 80-foot high-tech racing machine as you cruise effortlessly through the sheltered waters of beautiful San Diego Bay. Sailings are on weekends (Thursdays through Sunday) during the summer, subject to availability. Up to 18 participants on the yacht.